Speaking of coffee – our great friends and partners at Code Black Coffee Roasters help us day-in, day-out, bring the very best coffee blends to Frankston and the Mornington Peninsula. Code Black is simultaneously a laboratory, a workshop and a hub for connoisseurs of the dark art and science of coffee. They source high-grade green beans from international farms and growers. Roast it and pop it into bags for delivery to us so that we can serve it to you. We may be biased as we have loved their coffee for years – but their house and seasonal blends are seriously amazing. Whilst the coffee brand choices are endless these days; what’s important for us is a brand that is consistent on the quality front, and that is easy to drink for the everyday coffee lover. Oh… and don’t forget the sun – where mother nature permits; we promise you’ll enjoy your Milkman experience all whilst lapping up some rays and the benefits of some Vitamin D on the skin in this idyllic and picturesque location. 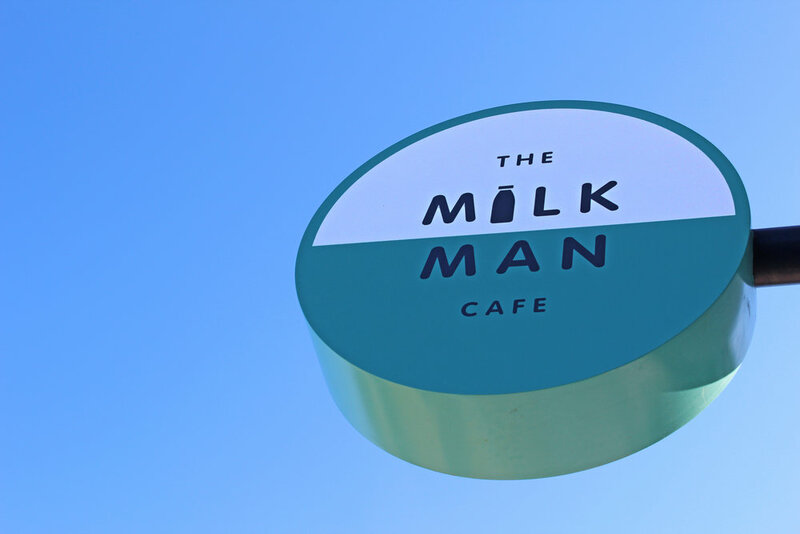 Food, family, coffee, sun, the outdoors and the peninsula… this really sets the equation for how The Milkman was dreamed, designed, built and now a place for everyone to enjoy. Creators Tom Debenham & Jacob Burke share a love and passion for food, drink, laughter, and the warm fuzzy feeling experience all of this with family creates. Special to this project is that Tom and Jacob have designed each and every element of the experience based upon their ‘other lives’ (yes… we all have them!) of design and build. Every aspect has been carefully thought through - so that it can culminate in magic happening!